Very important: Do not place the sensor directly into any liquid. IT is intended only for measuring gaseous, not aqueous, CO2 concentration. The CO2 Gas Sensor measures gaseous carbon dioxide levels in the range of 0 to 5000 ppm. This probe is great for measuring changes in CO2 levels during plant photosynthesis and respiration. With this sensor, you can easily monitor changes in CO2 levels occurring in respiration of organisms as small as crickets or beans! The CO2 Gas Sensor is easily calibrated using a calibration button. A chamber with probe attachment is included for running controlled experiments with small plants and animals. 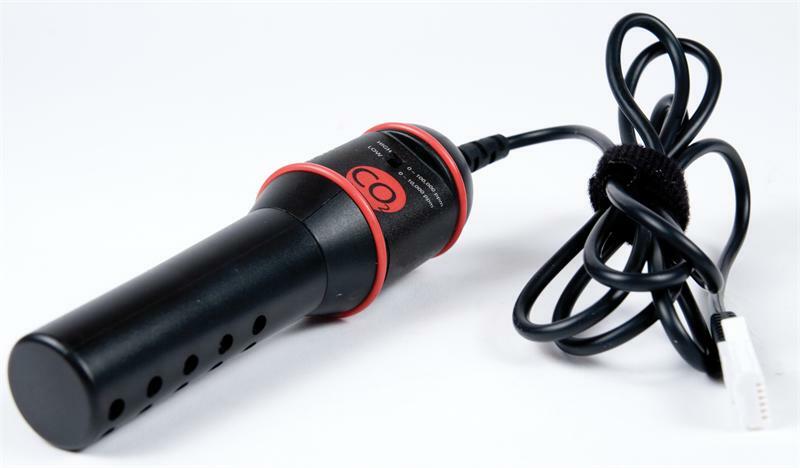 The CO2 Gas Sensor requires a compatible interface and software to collect data. Interface and software sold separately.